The Steller's jay (Cyanocitta stelleri) is a bird native to western North America with deep blue and black plumage and a long, shaggy crest. The front of its body is black, and the rear is deep blue. Steller’s Jays are birds of coniferous and coniferous-deciduous forests and are typically found at elevations of 3,000-10,000 feet. 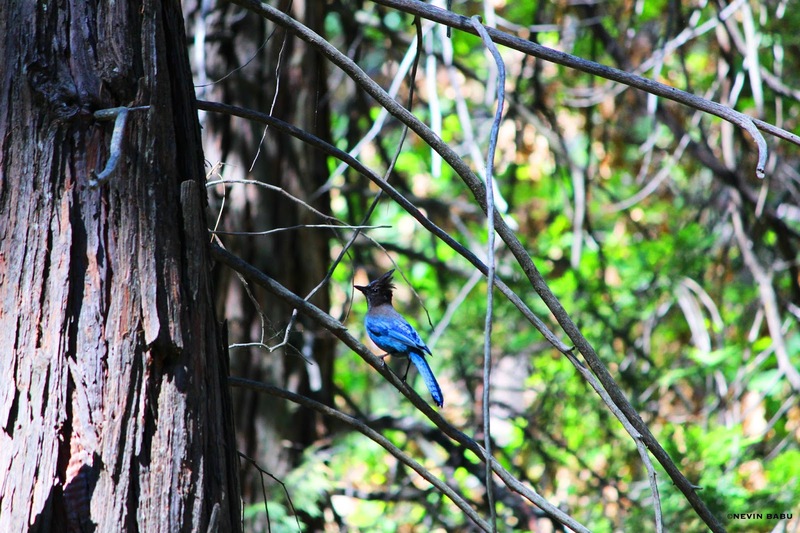 This bird was spotted in the Yosemite National Park, California, USA. I love that crest it has.